The classic multi-day trek follows in the footsteps of South America’s ancient Incan Empire, taking hikers through the Andes from its stronghold in Cusco, Peru, to the forgotten city of Machu Picchu. The longer route passes through the ‘Sacred Valley’ and the ruins of Ollantaytambo, with heights peaking over 4,200m (this means that altitude sickness can be an issue). Here are some travel tips and the kit you’ll need to tackle the wet and humid cloud forest, daytime heat and cooler mountain camps of the Inca Trail. How Can I Trek the Inca Trail? You must secure a permit through a pre-booked guided tour operator. This measure was introduced by the government in 2002 to help preserve the Trail (your passport will be checked at the start of the route). The dry season runs from April-October, but June-July are the most popular trekking months. The Trail is completely closed to hikers in February for cleaning. Permits are limited, so book your trip well in advance! What Equipment do Tour Operators Provide? Tour operators generally provide a tent and foam sleeping mat, cater for your meals and give you the option of hiring equipment like sleeping bags. Every tour operator is different, so it’s essential to check what you need to bring and what’s provided before you book. These are worth having for longer walks. Base layers move sweat away from the skin to keep you comfortable on the move. Handy at high altitude and for the cool evenings. Pack sunglasses, a sun hat to shield your neck on the walk and a woolly hat to stay toasty in-camp. A breathable and durable waterproof is a must-have, especially in the humid, shower-prone cloud forests. Pick one with an adjustable hood and plenty of storage pockets. Light and quick-drying trousers are recommended. Lightweight or mid-weight boots with soft-medium flexibility in the soles are a great choice for supporting and protecting your feet and ankles on the trail’s many steps and cobblestones and boggier cloud forest terrain. Make sure that you wear your boots in before your hike! You can also read our blog on how to find the perfect walking boots. Technical socks move sweat away from the skin and minimises rubbing and abrasion to reduce the risk of blisters (find out more benefits of technical walking socks on our blog). Take a pair for every day of your trek. Your trekking pack is left at the base camp or hostel while the porters carry your gear for the duration of the route. Check what the weight limit is per person so that you can plan what clothing and equipment to leave and hand over to the porters. The day pack is for carrying essentials like your water, food, extra layers and camera. Poles aren’t essential, but they help on steep inclines and declines and reduce the risk of twisting an ankle. Long-term, they minimise the impact on knee cartilage. On a multi-day trek with lots of ascents and descents on often-tough terrain, poles can make a huge difference. You’ll need this for in-camp. Pack some spare batteries! A water bladder and a 1L water bottle should be part stashed in your day pack. Trekking the Inca Trail is a demanding challenge with long days and intense heat, so staying sufficiently watered is vital! Chlorine dioxide tablets are also essential – bottled water can be expensive on the Inca Trail. Most packs are water resistant, not waterproof. Dry bags help protect valuables like your passport, camera and mobile phone from the damp. Your tour operator may provide you with a sleeping bag or give you the option of hiring one, but nothing beats the comfort of having your own! If you feel the cold easily, choose a bag with a slightly warmer limit or comfort rating. 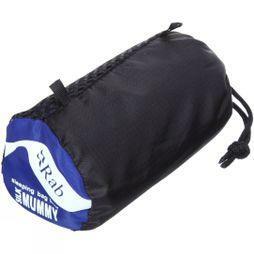 Synthetic bags are great value but heavier than down bags. If you’re hiring your sleeping bag for the trek, it’s good to have a fresh, clean liner to sleep in. They also add a little warmth – some are even treated with insect repellent for extra bug protection. Pack a lightweight, quick-drying, antibacterial travel towel with soap, hand sanitizer and baby wipes. Add some Dioralyte rehydration sachets and extra blister plasters to your kit. Insect repellent with a DEET factor of 100 or more will help you fend off the bugs. You need your passport to trek the Inca Trail and pass through its various checkpoints (you’ll also get some nice passport stamps as you walk through). Pack extra snacks to keep your energy levels high, an extra memory card for your camera, and cash to tip the porters (they leave on the morning that you walk up Machu Picchu, so there is a thank you evening the night before). Whether you’re hiking local trails or trekking the Himalayas this spring/summer, our new season walking boots offer all of the comfort and support you need for your next adventure. Here are our favourite 2016 arrivals from world-leading brands Scarpa, Salomon, Mammut and The North Face. A quality pair of technical socks are the foundation of any keen walker’s itinerary. Whether you’re prepping for long-distance backpacking, a short afternoon hike or a run on the trails, the correct socks will keep you comfortable by reducing shock, adding support, removing sweat and heat and minimising blisters. Cotton socks, however, soak up moisture and can soon cause discomfort and irritation, especially on longer routes. Here’s why you need to invest in some functional footwear. Whether you’re hiking, trekking or climbing in summer or winter, every layering system includes a base layer, mid layer and waterproof. These work together to help regulate your body temperature across a variety of weather conditions and physical activity levels. Each layer transports sweat to the outside of your system while the waterproof shell protects you from the elements. For enjoyment and comfort on any spring and summer adventure, an effective layering system is essential.